Dr. Nakayama’s research interests focus on body, gender, and technology in modern and contemporary Japan and East Asia. In addition to her ongoing project on working bodies, menstruation, and labor science (労働科学) in 20th century Japan, she has been fascinated with the histories of breastfeeding, infertility, and reproductive technologies. She is currently exploring issues relating to body and time (technologies of managing and organizing time for the human body) and to body and senses (scientising taste and pain). Dr. Nakayama is also engaged in a collaborate project on soy sauce technologies in East Asia with Professor Angela Ki Che Leung. Her recent publications include “Problems of Precocious Puberty in Meiji Japan,” in Gender, Health, and History in Modern East (co-edited with Angela Ki Che Leung, 2017), and “Nutrition and Moral Responsibilities: Motherhood and Breastfeeding in Meiji and Taisho Japan,” Moral Foods: The Construction of Nutrition and Health in Modern Asia (edited by Angela Ki Che Leung and Melissa L. Caldwell, University of Hawai’i Press, forthcoming). Dr. Nakayama is also working on a collaborative research project on everyday technologies in the making of modern East Asia. 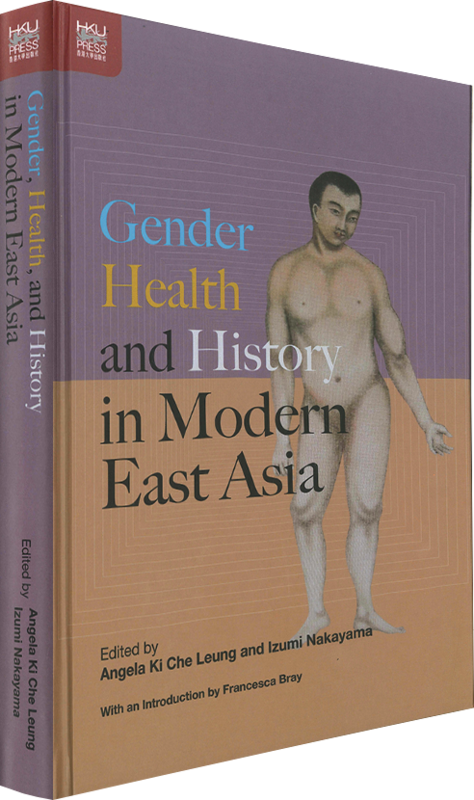 2017 Gender, Health, and History in Modern East Asia (co-edited with Angela Ki Che Leung, with an introduction by Francesca Bray), HKU Press. “Nutritional and Moral Responsibilities: Motherhood and Breastfeeding in Meiji and Taisho Japan,” in Moral Foods: The Construction of Nutrition and Health in Modern Asia, edited by Angela Ki Che Leung and Melissa L. Caldwell (University of Hawaii Press, forthcoming). “Cycles of Meanings: ‘Equality,’ ‘Protection’ and the Debates on Menstruation Leave in Modern Japan, in Vera Mackie ed., Social Policy in Japan (Routledge, forthcoming). “Shifting Mores, Stagnant Laws: Fertility Politics in East Asia” AsiaGlobal Online (May 31, 2018). “The Problem of Precocious Puberty in Meiji Japan,” in Angela Ki Che Leung and Izumi Nakayama eds., Gender and Health in Modern East Asia (HKU Press, 2017). “Posturing for Modernity: Mishima Michiyoshi and School Hygiene in Meiji Japan,” East Asian Science, Technology and Society (September 2012). “Ōhara shakai mondai kenkyūjo to rōdō kagaku no tanjō,” in Journal of the Ohara Institute for Social Research, No. 591 (February 2008). “Senzen nihon no seiri kyūka,” in Journal of the Ohara Institute for Social Research, No. 550 (September/October 2006). “The Unnatural Menstrual Cycle and the Historicity of Nature in the 21st Century,” in Rethinking Science and Medicine from the Perspective of Gender in the Post-Human Genome Project Era (Ochanomizu University, 2004). “Kisetsu ni ichido: Posuto genomu jidai no gekkei yokusei gijutsu (“Once Every Season”: Menstrual Suppression Technology in the Post-Human Genome Era),” in Frontiers of Gender Studies Journal, Inaugural issue (Ochanomizu University, 2004).